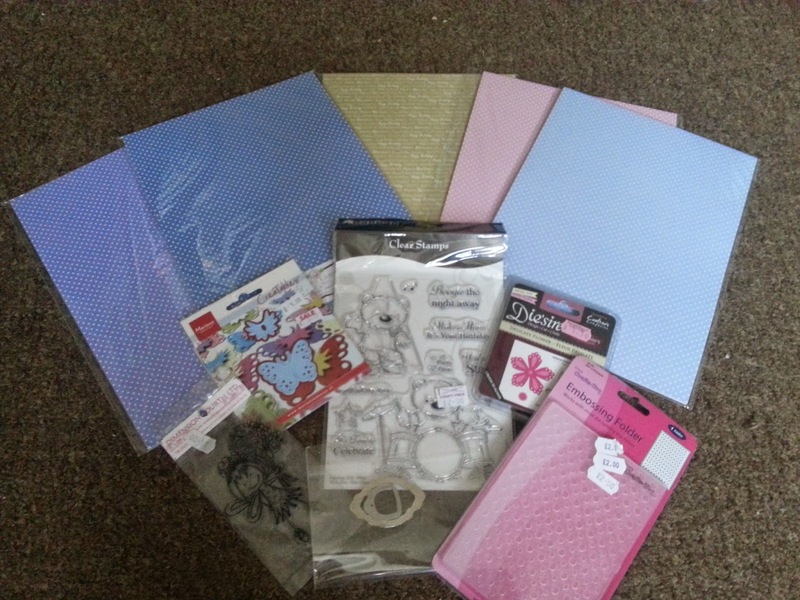 one happy little crafter: A little bit of Daisy! Hello there, hope the week has started well for you! Had the best time yesterday at the Sincerely Yours paper craft show......if you scroll down you can have a wee peep at the goodies that I "rehomed"
mini rik rak, button and pearls from stash. and finally, this is my little haul from yesterday.......haven't told the hubby yet, how much I spent, but to be fair I did get quite a few bargins!! A pretty card Lisa, such a sweet image and lovely pastel papers. 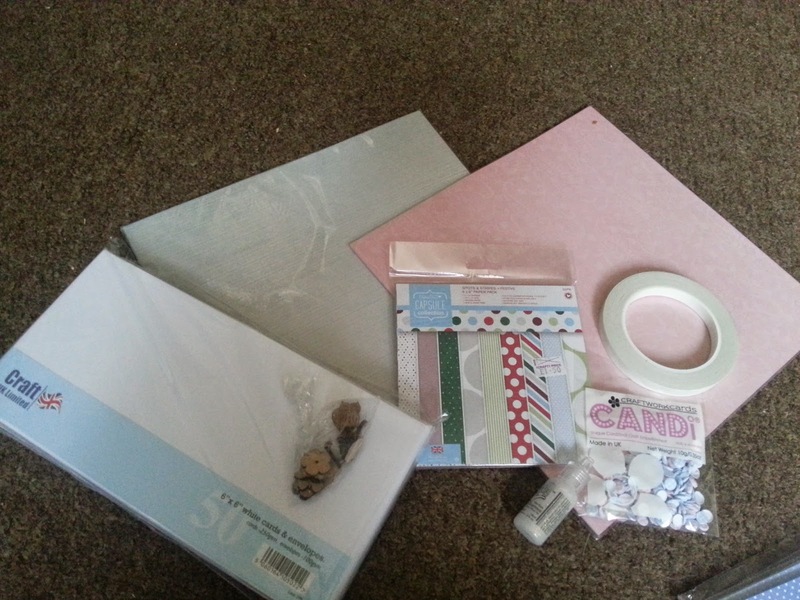 Can't wait to see what you make with your new stash. Thanks for sharing this gorgeous card with us at Passion for Promarkers in our Spring Blooms challenge this week. 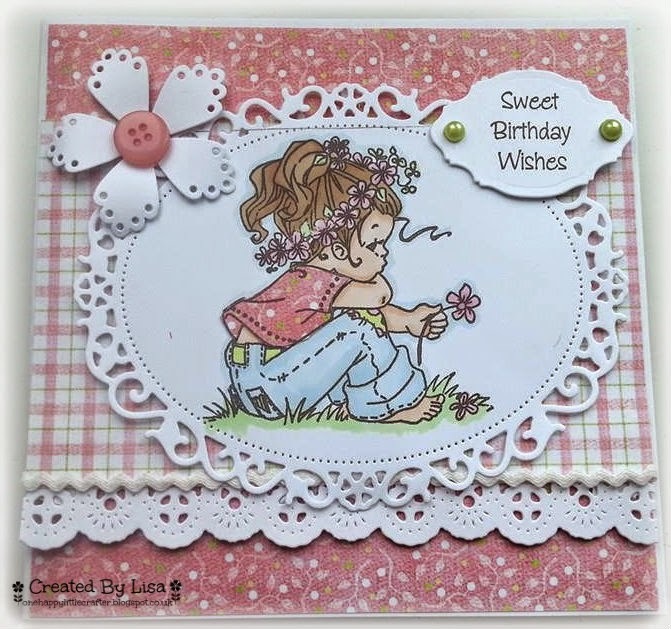 A very pretty card, love the paper piecing on her t-shirt and I hope you enjoy using your new stash. Adorable card, Lisa, that is one of my favorite images. Lovely card design and great combination of dies. Good luck and thanks for joining in on the fun at Cheery Lynn Designs challenge. I just love this image and your card is fabulous..so dainty and elegant!! Thanks for joining the Cheery Lynn Designs challenge. Good luck! Such a sweet card Lisa. So delicate looking. Glad you joined us in the Cheery Lynn Designs challenge. Best of luck to you. Beautiful card, so girly too. 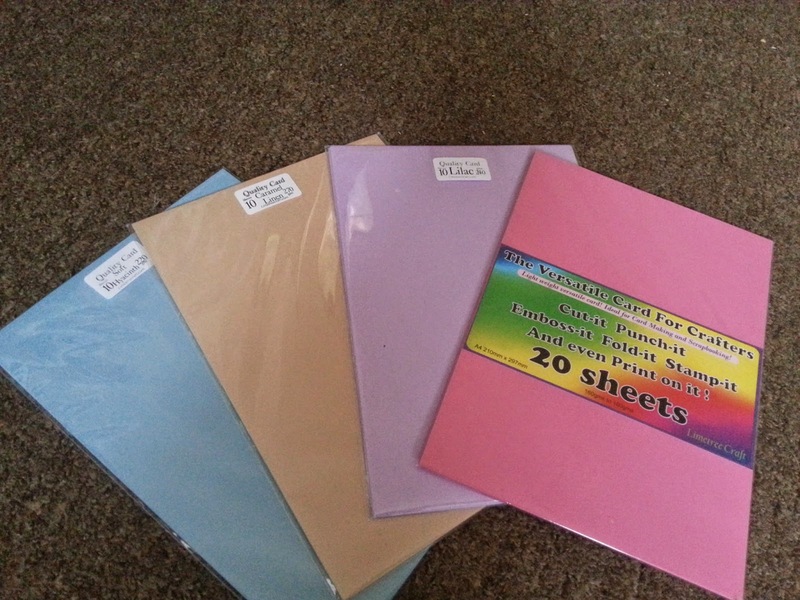 Lucky you to attend a lovley Papercraft show, we don't get them around here or even close.